It is during the Australian winter that I write this article. I find that many shops and supermarkets sell chestnuts. Chestnuts have a dark brown husk varying from a small round (like the size of the tip of your thumb) to large chestnuts (being the size of a whole walnut). Every time I see the chestnuts it reminds me of the view of the Beijing street in winter: every frozen, cold winter in Beijing, fried chestnuts are the best and most popular food. Freshly cooked chestnuts are crunchy on the outside and soft on the inside and have a nice warming heat and pleasant smell. This attracts many people to buy the chestnuts, some may even spend one hour in the cold winter in a line in the street waiting for fresh cooked chestnuts. 1. Why in the cold winter does the fresh chestnuts attract people? 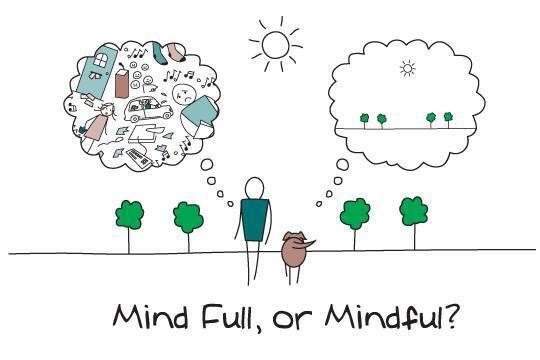 I think this experience is associated with an ancient food philosophy. This type of traditional dish is extremely suitable for winter seasons. Traditional Chinese food is primarily concerned with eating certain foods at certain times which will help to balance the body and the season. Chinese medicine considers that eating seasonal foods can prevent the body being attacked by the pathogens caused by that season. Chestnuts have warming effects so eating them in the winter can help to warm the body as well as improving the joints. Many Traditional Chinese Medicine books such as ‘Be Cao Gang Mu’, ‘Qian Jin Shi Zhi’, ‘Ming Yi Bie Lu’ and TCM diet therapy textbooks all mention chestnuts having warming characteristics which can tonify Kidney Qi, warm the circulation and strengthen the lower part of the body such as the back, knees, ankles and their tendons, smooth the joints and can also help to protect the body from the winter cold. Chinese medicine considers the Kidneys are located on the lower back and dominate bone, lower back, knees and ankles. If the Kidney energy is sufficient, it will pass the energy (Qi) and blood to these parts of the body to make them stronger, flexible and healthy due to a better circulation and energy to these areas. If the Kidney energy is low (especially in the winter, as the cold affects the circulation) the body will have the following symptoms: lower back, knee and ankle pain, lack of energy to walk, puffiness or stiffness around the knees or ankles, cold feet or heel pain. The body may also have other symptoms such as frequent urination during the night, lowered libido, impotence, early menopause. During my many years experience, I have found that if we treat the cause, it will clear the symptoms – in this case, we would strengthen the Kidneys and warm the circulation. 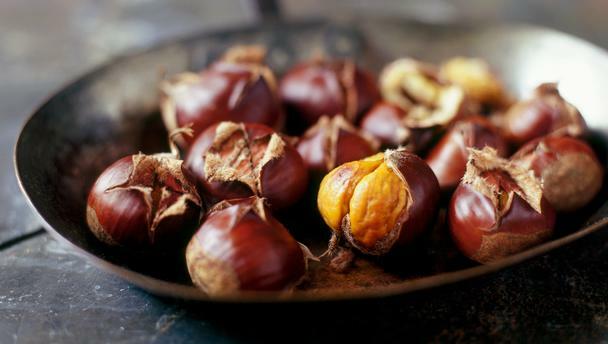 During treatment, I suggest eating certain foods to help the Kidneys and circulation – chestnuts is one of these foods, especially in the winter. This is why in the Beijing winter, chestnuts are very popular in the market – they warm the lower part of the body and prevent stagnation or accumulation of the cold in their circulation of the lower body. Essentially, if the circulation is good and the body is warm there is generally no pain. Therefore due to this, chestnuts can help pain. I suggest that if you are living in a cold climate or suffer from the symptoms mentioned above you can eat 10-15 chestnuts, 2 or 3 times a week, to help improve your condition. You can also eat beef bone and chestnut soup. Please see the recipe below. Chestnuts are also beneficial for the development of the legs in Toddlers. Some children are very late and weaker in walking. This delayed development is usually associated with weaker Kidney function. These children can eat 2-3 cooked chestnuts per day as part of their treatment. Chestnuts are very easy to cook. To prepare the chestnuts, you make a small slit within the husk and a little bit into the nut itself. Place them into boiling water, allowing them to simmer for 10 – 15 minutes and they are ready to eat. During the boiling, you can add a small amount of salt into the water which will help bring the effects of the chestnuts to the Kidney, regarded by the 5 elements theory. Each time, you can have 10-15 chestnuts approximately 2 or 3 times a week. Boil the bones, clear the top of the soup and simmer for at least 3 hours on a low heat. Add chestnuts (with the husk slit) 20 minutes before the soup is cooked. Effects: Warms the circulation; strengthens the bones. i) The following people may be not suitable to eat chestnuts: those with constipation, kidney or urinary bladder infections and allergies to nuts. ii) If you are unsure whether you should eat chestnuts, please see you experienced TCM practitioner. Very nice article…. Seems very personal, like an advice from a friend…. My question is if it is recommended for women to eat or not to eat chestnuts during their period… I know that this time of month Chinese medicine restricts many things… I would think it is ok and maybe even beneficial since chestnuts have warm property…? Thanks for your comment Lidija! It is fine to eat chestnuts during the period. Like all things, we suggest not to over-eat them. A small handful a few times a week is enough. Certain people may experience constipation after eating chestnuts, if you experience this, then we would suggest that chestnuts are not the most suitable for your body type.